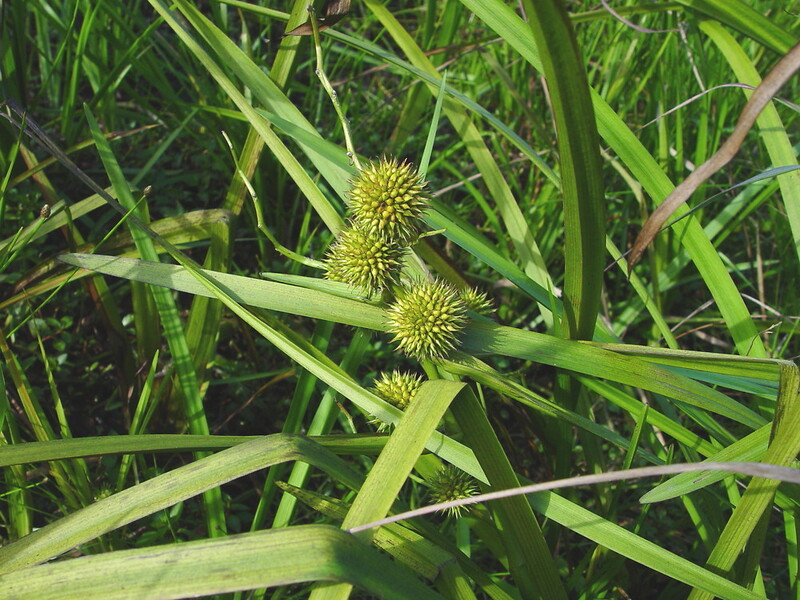 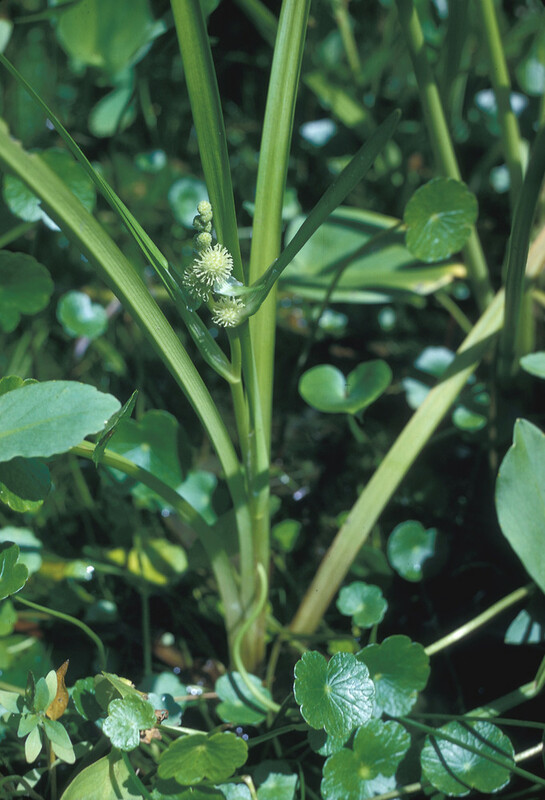 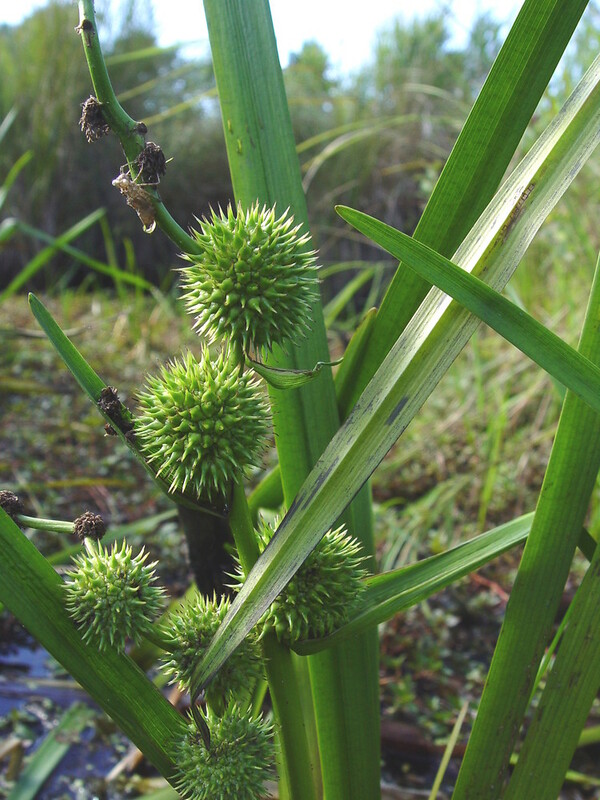 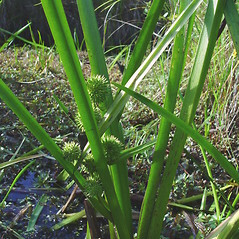 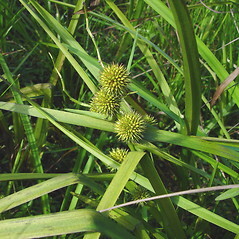 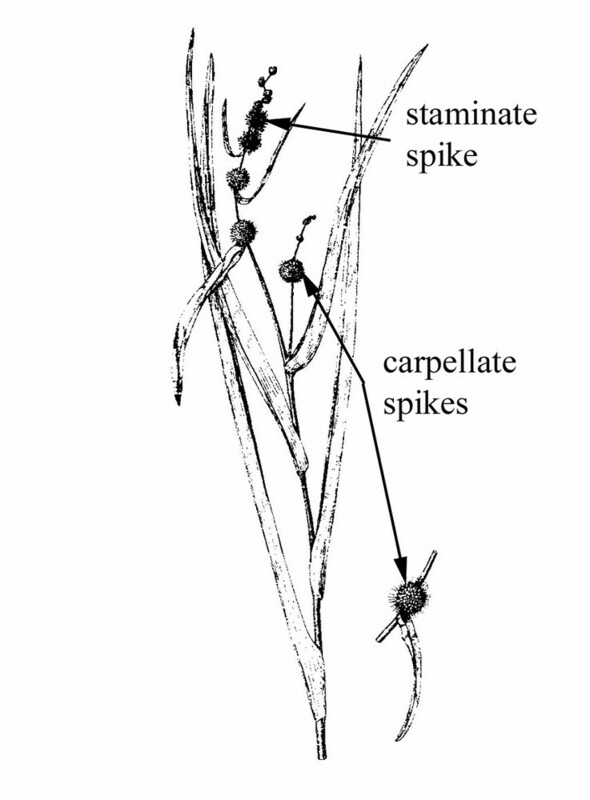 Branched bur-reed is found in shallow, still or slow-moving water in parts of New England. 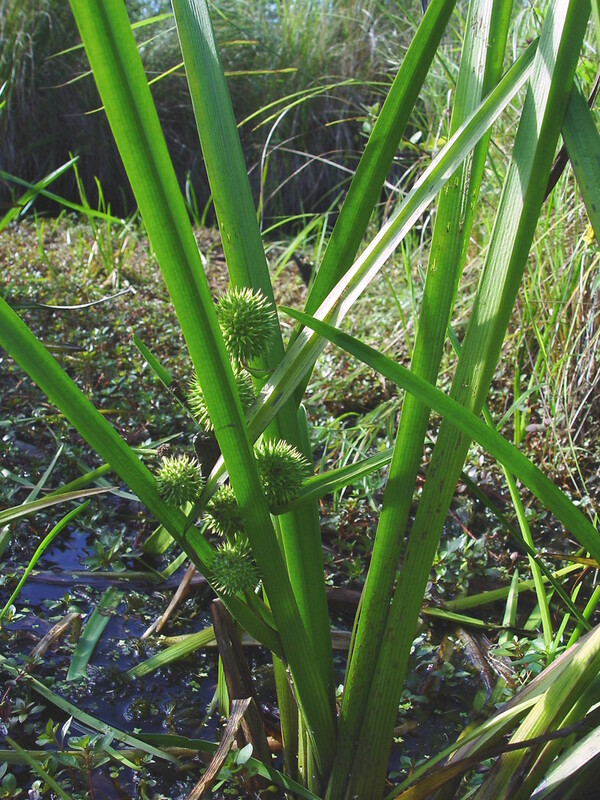 This species is easily confused with the more common American bur-reed (Sparganium americanum), from which it is distinguished by having wider fruiting spikes 2.5 to 3.5 cm (1 to 1.4 in) in diameter, versus 1.5 to 2.5 cm (0.6 to 1 in) in American bur-reed. 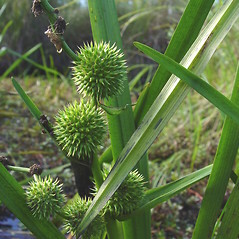 branched bur-reed. 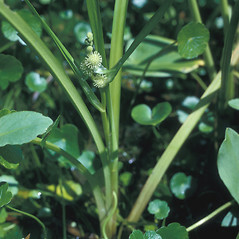 Sparganium lucidum Fern. 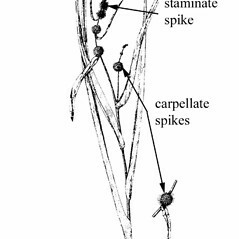 & Eames • CT, MA, ME, NH, RI, VT. Shorelines and shallow, circumneutral, still or slow-moving water.